perfume by Pink | Wedding Shoes by Pink | Bridal Shoes by Pink from Arabesque. 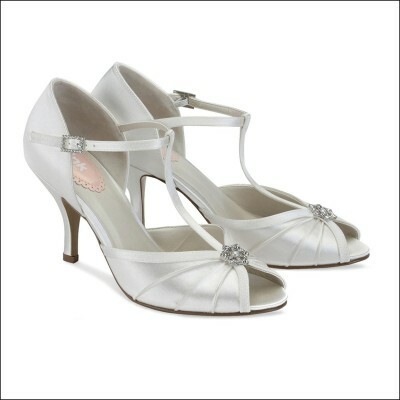 Perfume by Pink - Gorgeous vintage style T-Bar peep toe sandal with a pearl & crystal brooch trim. Available up to a size 42/9.